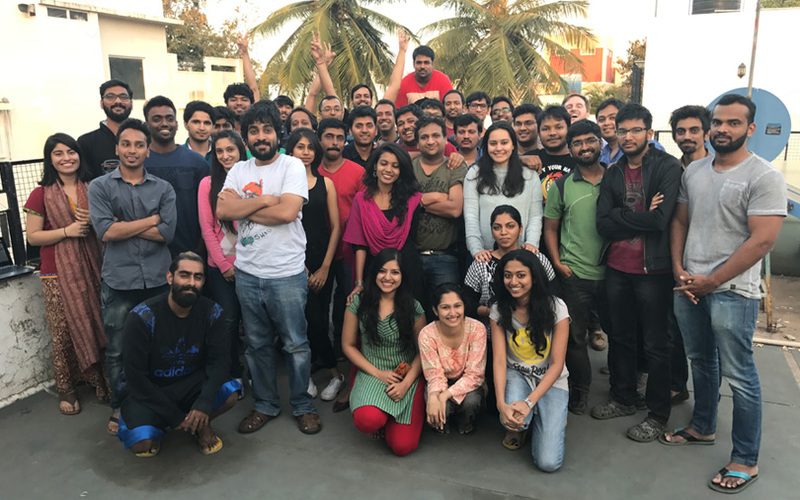 Bengaluru-based Dunzo Digital Pvt. Ltd, founded in January 2015, has evolved into a verb today, mainly because its users in the city outsource the most mundane of chores to the app. “Let’s Dunzo it,” they say, where “it” could span an astonishing breadth ranging from picking up grocery to getting the TV repaired to even ordering a freshly baked cake. Verbification of the startup is not surprising, given that the app rescues its users from having to run around and multitask. Incidentally, its recent backer – Google – also got verbified, although several years ago, simply by rescuing countless many from having to write research papers or long essays. This word-of-mouth verbing of Dunzo seems to have sparked remarkable growth. 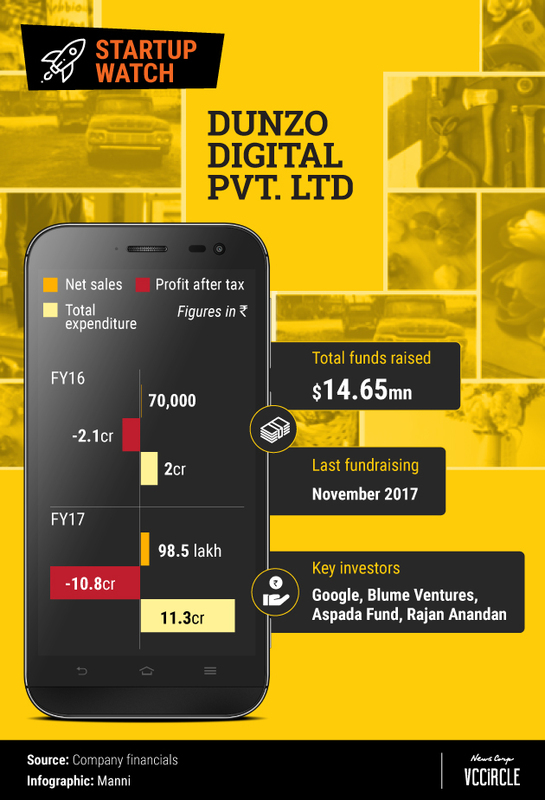 For the year through March 2017, the most recent period for which its financials are available, Dunzo’s revenue rose to Rs 98.5 lakh from Rs 71,000 the previous year. And all this growth has been without any marketing costs, co-founder Kabeer Biswas told TechCircle. Founded by Ankur Aggarwal, Dalvir Suri, Mukund Jha and Biswas, Dunzo is a chat-based task management app that allows users to create to-do lists through its app and fulfils tasks such as picking up groceries or providing home services. The platform, which caters mainly to Bengaluru and Pune, uses both artificial intelligence and human operators to provide solutions. As the co-founder of the first Indian startup that got direct funding from US-based tech giant Google, Biswas believes in two ideals: A great product and user referrals. “Invariably, for 20 hours a day, we are thinking of building a great product—which can save time for the users. We are always checking whether users are referring the product to others,” he said. However, it hasn't been smooth sailing. Biswas says they were on the cusp of a crisis when capital was running out and they were just trying to survive. “We had been to every investor in the country,” he said, but added that investors were wary of backing hyperlocal startups as many ventures and tried to grow aggressively and lost money. “Three quarters (in 2016-17) had been very tough. There was no money. We kept growing. We may have tripled at some point,” he said. Dunzo grew at a steady pace of 3-4% week after week in 2016-17 and, at some point in the year, managed to reach operational break-even. “Last year, we ran out of money; 2017 was very humbling. Maybe the most humbling year in my career,” Biswas said. Then, in the first week of December 2017, the startup saw a white knight riding to its rescue. Google led a Series B round of funding worth $12 million for Dunzo. The new round valued the startup at $30 million, up from $17 million in Series A round. Earlier, in March 2016, the startup had raised $650,000 in a pre-Series A round led by Aspada Investment Advisors and Blume Ventures. Google India managing director Rajan Anandan and former Just Dial executives Sandipan Chattopadhyay and Rajesh Dembla had participated in the round. Reflecting on Google's investment, Biswas says the funding came as a surprise. “We have struggled for money. When you have a team and when you are concerned about paying them at the end of the month, you are not proud of raising money. You are just glad that you have an opportunity to build a product that everybody in our team uses,” he said. After struggling for capital, Biswas has his eyes fixed firmly on the goal. The next eight quarters are about growth and how the company deploys the capital smartly. “We are trying to understand every penny that gets spent,” he said. Update: The story has been updated to reflect the fact that former Just Dial executive Rajesh Dembla participated in a pre-Series A round in Dunzo in March 2016.